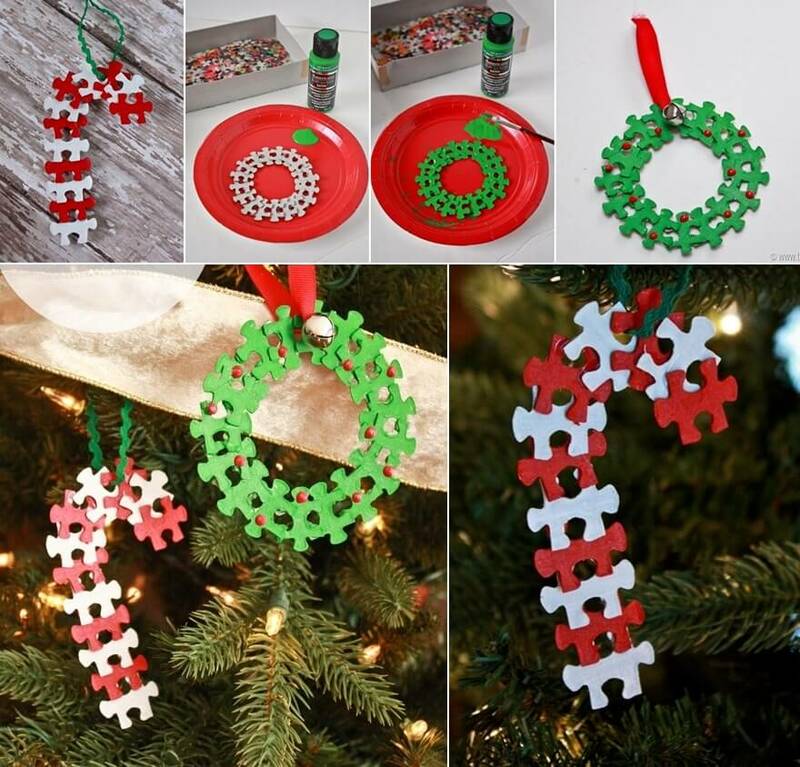 Cheryl at That’s What Che Said created these cool candy cane and wreath ornaments by painting and gluing together pieces of a puzzle and then added ribbon loops. 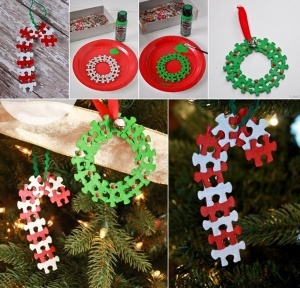 Moreover, for the berries of the wreath she used red puffy paint. Freshly Found Blog has shared yet another lovely way to recycle old puzzle pieces. You can glue them together in the form of a heart that you can either hang or put on a shelf or mantel. 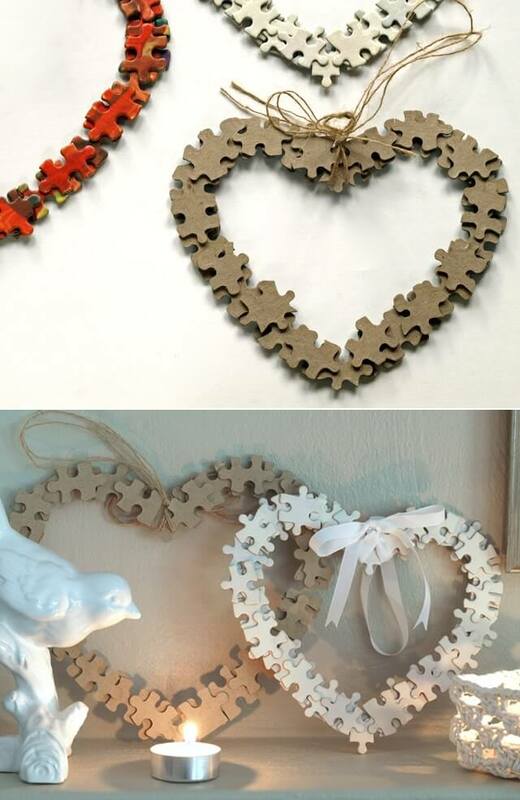 For creating these hearts you can also use the backside of the puzzle pieces or simply paint them in one color such as the white one. Dina at Honey and Fitz has shared a wonderful name nursery wall art created by a mom named Erin who used different materials for her son’s full name wall decor. 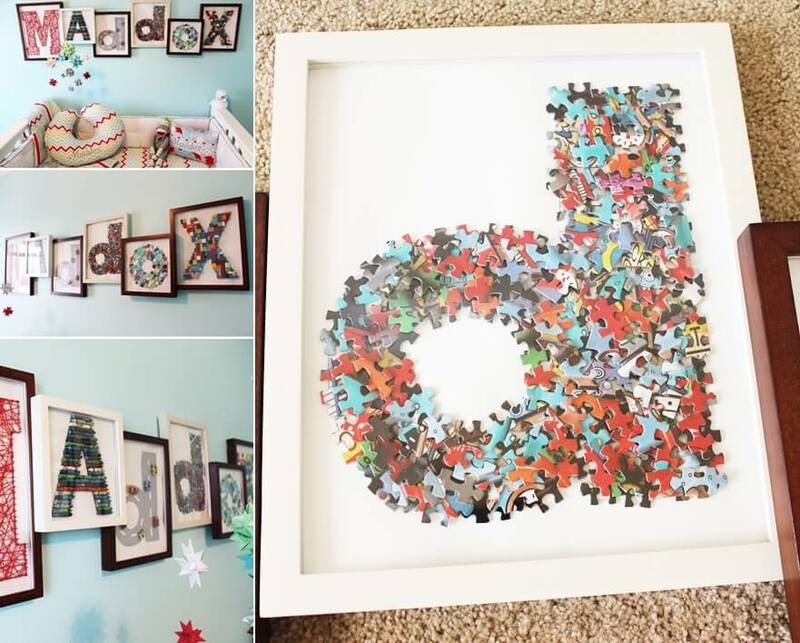 For the letter ‘d’ appearing in the name Maddox she utilized pieces of an old puzzle. That sounds so interesting! Unusual Girl Studios Blog has shared a wonderful way to decoupage puzzle pieces with your favorite print or quotes and then glue the edges with glitter. 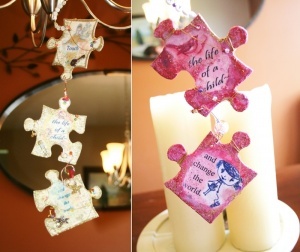 She turned the decoupaged puzzle pieces into garland like ornaments with wire and beads. Rachel at I Heart Crafty Things created this cool fall tree. For the trunk she used a brown paper bag. 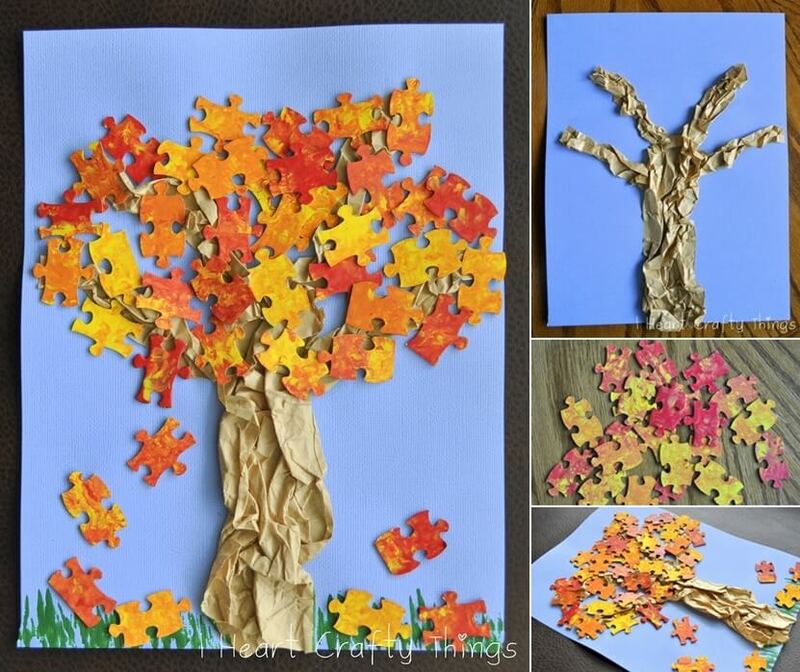 For the leaves of the tree she painted puzzle pieces with acrylic paints in red, orange and yellow in a marble effect. 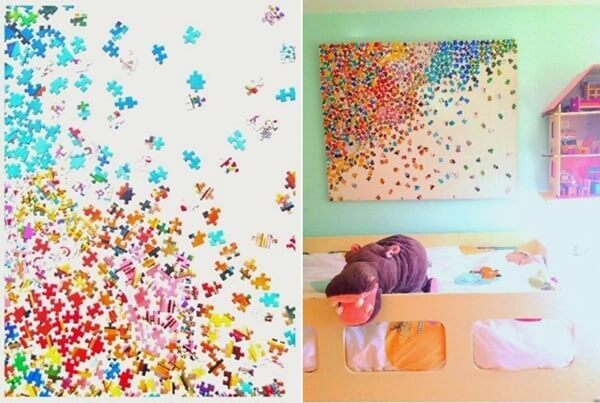 The result is so lovely and beautiful.